For thousands of years, humankind has envisioned a peaceful world. Peace can be obtained. It is not impossible and is, in fact, well within our reach. Various scientific studies support the existence and the true nature of God and heaven. When these discoveries are applied to our lives, it launches us all toward an existence that God has intended for us here on earth. 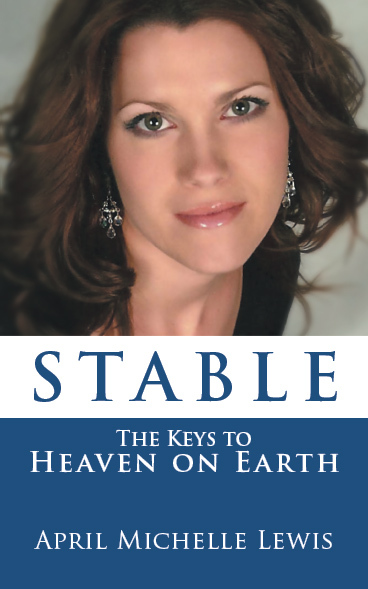 Through the STABLE philosophy, people of all backgrounds across the world can learn to love each other, share their possessions, strengthen their faith, turn their dreams into reality, and find hope in the face of debilitating depression. This spiritual guide seeks to heal individuals in every aspect of their lives, and ripple out like a beautiful wave to unite the entire globe. It is time to live as though heaven is on earth.